Are you afraid of losing client information, billing records, service data or other documentation? Do you find yourself or your employees taking valuable time away from other tasks to add billable time, build forms, produce reports, or hunt misplaced files? Do you worry data may be lost to fires, floods or tornados? Give us your troubles. We'll give you solutions. R.K. Black not only offers you peace of mind with our local and cloud-based data solutions, but we’ll optimize your business processes too so you spend less time managing your documents and more time focusing on your core business. We’ll implement data handling processes whereby your information can be created, shared, organized and stored securely, efficiently and appropriately. 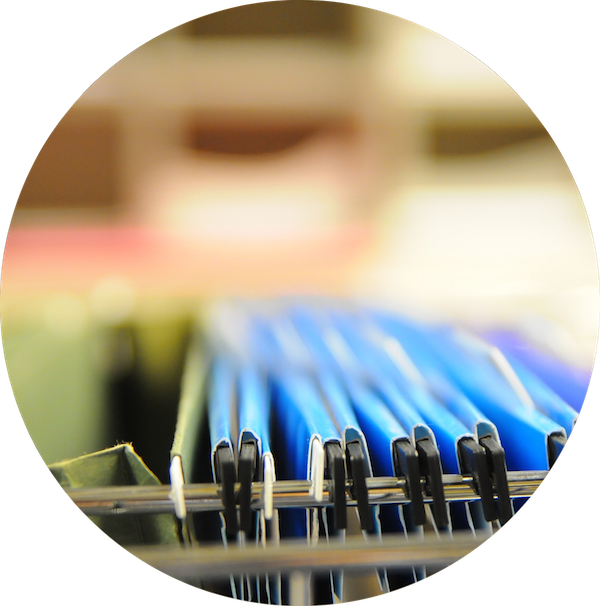 Don't depend on just your filing cabinets to protect your most valued information. If your documents are important enough to store in your filing cabinet, they are important enough to digitize and store on a hard drive. Through our document management software, you can easily store and retrieve your records from your desk and even create workflows and divisions of labor concerning your documents, streamlining your whole process. Do you want your data to be remote accessible, "in the cloud"? We can do that for you too. Do you run a legal firm? We'll get you set up on Rocket Matter — a scheduling, billing, document and case matter managing solution all wrapped up into one cloud-based platform accessible by your PC and mobile device. It even syncs with your Google Calendar. Add QuickBooks to the mix and you can practically run all of you document management matters with ease. Another cloud-based solution in our offering is SpringCM, great for those in your office who build forms, manage workflows, process invoices, upload and share files online. SpringCM does all that for your business with cloud content, document, collaboration and workflow management built for business. To learn about these or our document back-up solutions, call us at (405) 943-9800 or click the button below and tell us more about yourself.